"Fly-fishing is a complex pastime, full of variety in its participants, in its accoutrements, and in the range of fish that are sought." 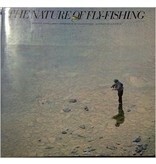 Author Steven Meyers wrote in The Nature of Fly-Fishing as an invitation to the sport, focusing on trout and their environment and, of course, on fly-fishing. 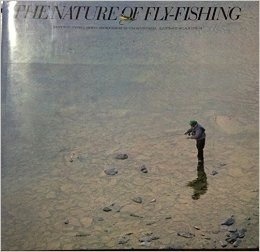 Meyers didn't intend this book to be an instructional text, rather he wanted to share his love of the sport by capturing the feeling of angling for trout with a fly. His essays on casting and flies and tackle and the behavior of trout are interspersed with fishing stories that celebrate the beauty and elegance of the wood, the streams, and the fish. Glowing evening skies, leaping, silver-sided trout, freshly fallen snow on Montana's Bighorn Mountains, trout rising in glass-smooth water to sip gnats from the surface - these are all part of the beauty of fly-fishing. And seventy-eight stunning, full-color photographs and illustrations help Meyers communicate his passion.